We've enjoyed a couple of previous visits to the Merimbula RSL so decided to head back. Inside it is a standard cavernous NSW style club, however the view from the window tables stretching out to the ocean is pretty special. 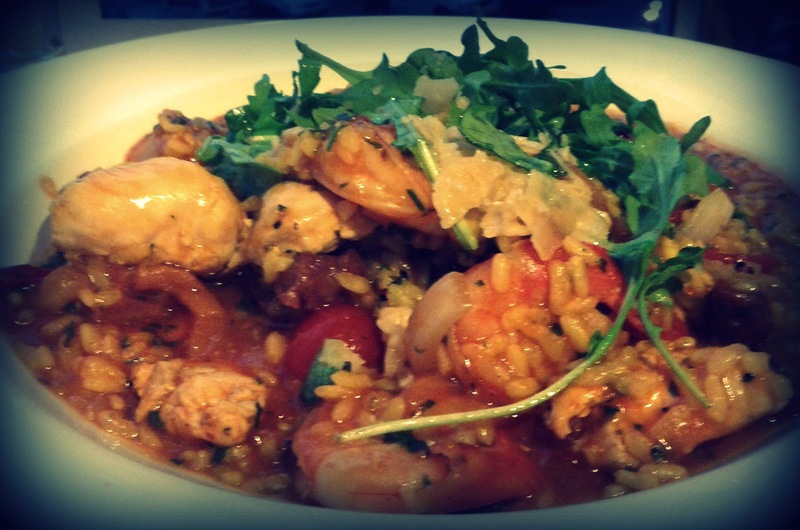 The menu is extensive and features plenty of seafood as well as pizza's, steaks, pasta and chinese dishes. We shared the crusted calamari and coconut scallops as an entrée. 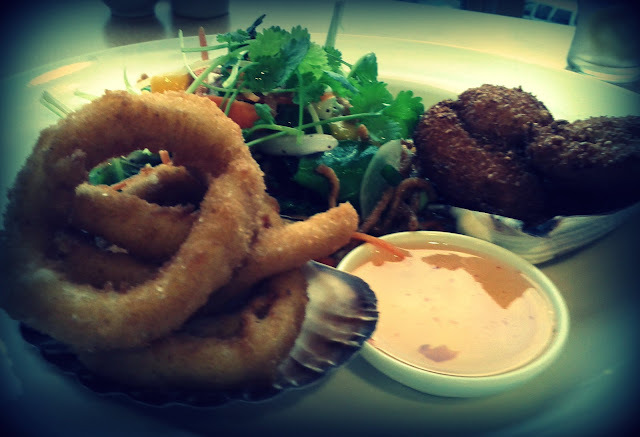 The squid was tender with a crispy coating, the scallops also well cooked, although I didn't notice the coconut, the asian style salad worked well. The special of Paella unfortunately didn't live up to expectations. It was dominated by a strong tomato flavour and although there were plenty of prawns and chicken it wasn't particularly authentic. 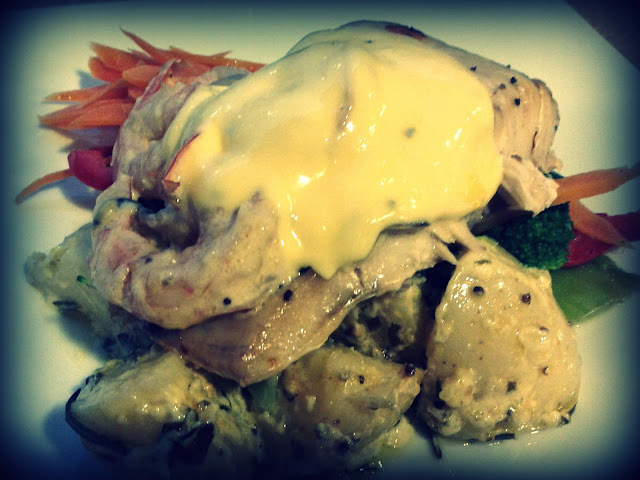 I had the fish of the day, Barramundi with prawns and a hollandaise sauce with potatoes and veggies. The dish worked, the seafood was well cooked although there was probably a little too much sauce. It seems like sticking to the seafood options might be best, a few years ago we'd enjoyed the seafood platter which no longer seems to be on the menu. The service was friendly and swift and the food and drink good value. Oh, memories!! For years and years (over a decade), my family and I would go to Mandeni ever year in summer, an the Merimbula RSL was where we'd go, every year, the first night, after driving from Canberra. Nostalgia! Yes, its that kind of place, and I'm sure it hasn't changed that much since you used to visit.